Home / Unlabelled / Erwin Tulfo slams De Lima: "Nababahala ka sa warrantless arrest takot ka ba sa sariling mong Multo?" 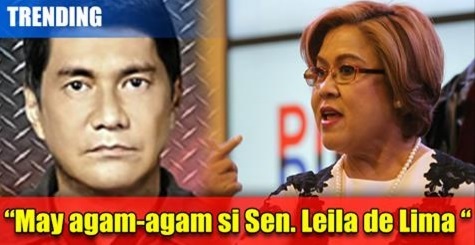 Erwin Tulfo slams De Lima: "Nababahala ka sa warrantless arrest takot ka ba sa sariling mong Multo?" In you case you’ve never heard, Senator Gordon made a proposal to suspend the writ of habeas corpus to give more teeth to the anti-drug war campaign of Duterte. In response, Senator de Lima expressed concern that in the event a warrantless arrest is enforced, the country will have a semblance of a Martial Law state. What are we having here? A creeping martial law? A creeping authoritarianism? Senator de Lima’s stance toward Senator Gordon’s proposal did not escape the radar of Erwin Tulfo of TV 45 who wasted no time in poking fun of the lady senator. Check out the Facebook post of Erwin Tulfo made recently as shown below. "May agam-agam si Sen. Leila de Lima tungkol sa isang patakaran ng warrantless arrest na nakapaloob sa idineklarang state of national emergency ni Pangulong Rody Duterte. 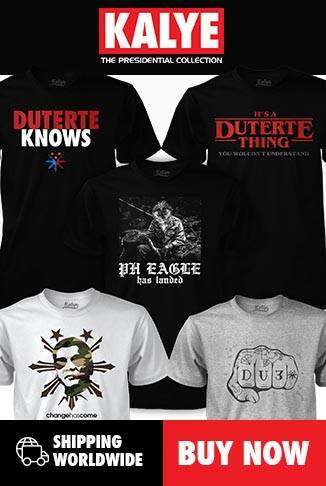 Ala pwede ka nang hulihin ng walang warrant. dati kay PGMA may warrant ka ba at hold departure order nung pinigilan mo syang umalis para mg pagamot? Tapos ngaun nababahala ka sa warrantless arrest takot ka sa sariling mong Multo." If you’d recall, former President Gloria Arroyo was stopped from leaving the country at the last minute by no less than Senator de Lima, then DOJ Secretary before boarding the plane bound for abroad to seek medical treatment but she was arrested without a warrant of arrest. Tulfo post on Facebook has been warmly applauded by the netizens who are holding a grudge against Senator de Lima for voicing out her opposition against President Duterte’s war on drugs campaign.